I recently got some new toys on eBay. They are limited edition wooden hand painted toys from some of my very favorite designers, Friends With You. 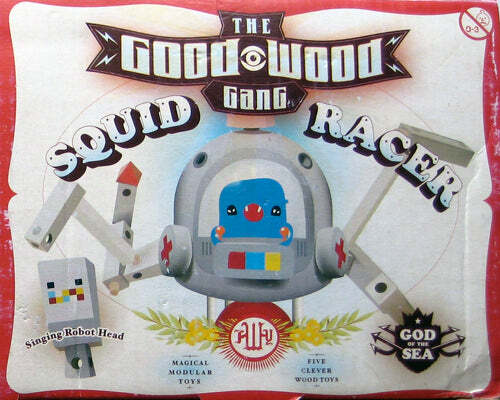 They are called The Good Wood Gang. 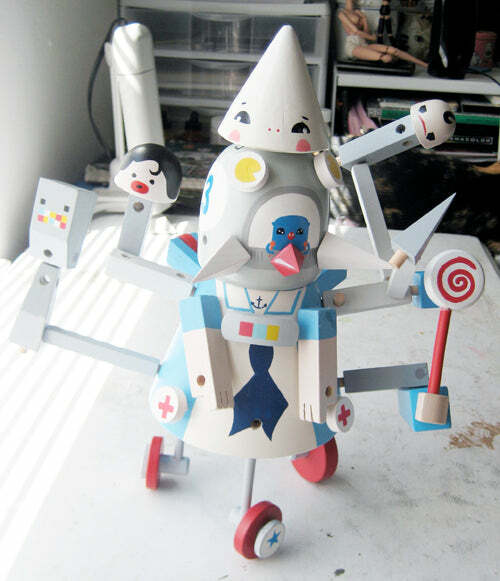 They are modular, meaning all the pieces are interchangeable like tinker toys. 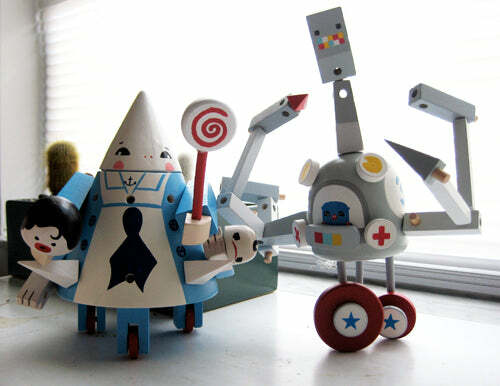 I sure was happy when they came in the mail and they are just about the coolest toys ever! 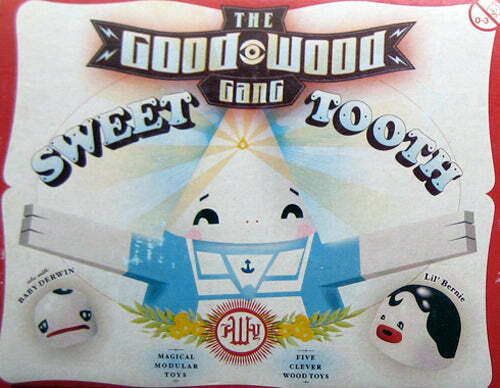 There are five toys in The Good Wood Gang, the two I got are Squid Racer and Sweet Tooth. They possibilities are plentiful, of course! They also came in these very well designed boxes, that I plan to display with the toys when I find a suitable shelf. I am in love with them! When I searched 'Friends With You' on eBay I was really only looking for some of the Wish Come True blind box toys I am missing.